The “Association of Enlisted” (AP), one of three Portuguese member associations of EUROMIL, recently celebrated its 17th anniversary. Registered on 24 February 2000 as Associação de Praças da Armada (APA), only representing navy personnel at that time, it subsequently amended its statute in order to integrate and represent all enlisted personnel of the armed forces, adopting the designation of AP – Associação de Praças and a new logo. On 9 March 2017, in the Mess Hall of the central premises of the navy, at the Terreiro do Paço in Lisbon, an element that already deserves attention, AP organised a dinner which was attended by more than seventy of its affiliates. 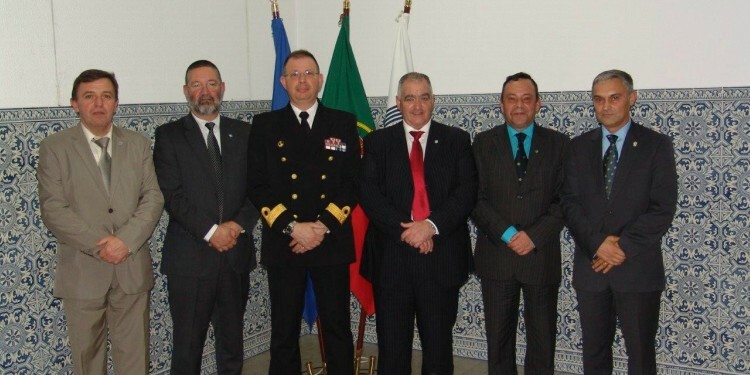 Among the many guests, leaders of military associations and clubs, was Antonio Lima Coelho, Board Member of EUROMIL representing its President, and the Commodore (navy officer) Oliveira Silva representing the Admiral Chief of the navy. The intervention of Luís Reis, President of AP, presented the historical background on the creation of AP and addressed the main socio-economic issues that currently affect its members and the military in general.